GHAZNI: The fight for the eastern Afghan city of Ghazni entered its third day as Taliban militants and security forces engaged in heavy clashes Sunday, despite Kabul's claim that the city was firmly under government control. An AFP reporter on the ground said Taliban fighters continued to roam the city, torching government offices, and were in control of several police checkpoints, as reinforcements deployed from Kabul slowly entered the area to confront the insurgents. Residents hid in their homes or attempted to flee the fighting, with basic provisions increasingly scarce and expensive, according to residents and officials. "In Ghazni, only the police headquarters, governor's office and a few departments are under Afghan forces' control -- the rest are under the Taliban fighters' control," he added. "There are not sufficient forces to repel the Taliban fighters. 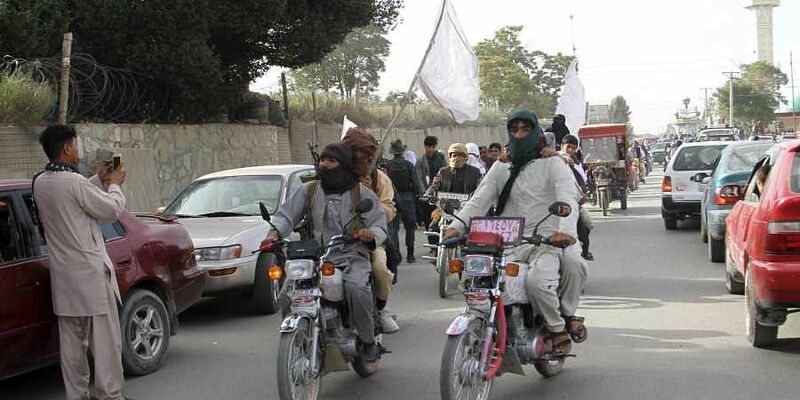 We have not witnessed such a large scale attack by the Taliban before," said Andar. The descriptions stood in stark contrast to statements from Afghan and US officials, who said government forces were firmly in control of the city and vowed that Ghazni was in no danger of being seized by the Taliban. The Afghan military said a clearance operation targeting Taliban fighters was ongoing, insisting they remained in control of key government offices. "The Taliban are hiding in people's houses and shops... to avoid civilian casualties our forces are moving in slowly," said General Sharif Yaftali, Afghanistan's top military official, during a press conference Sunday. Ghazni -- around two hours by road from the capital Kabul -- has been under increasing danger from massing Taliban fighters for months, with reports suggesting insurgents had infiltrated the city at will. The attack was the largest tactical operation launched by the Taliban since an unprecedented truce in June brought fighting between security forces and the Taliban to a temporary pause, providing war-weary Afghans some welcome relief.